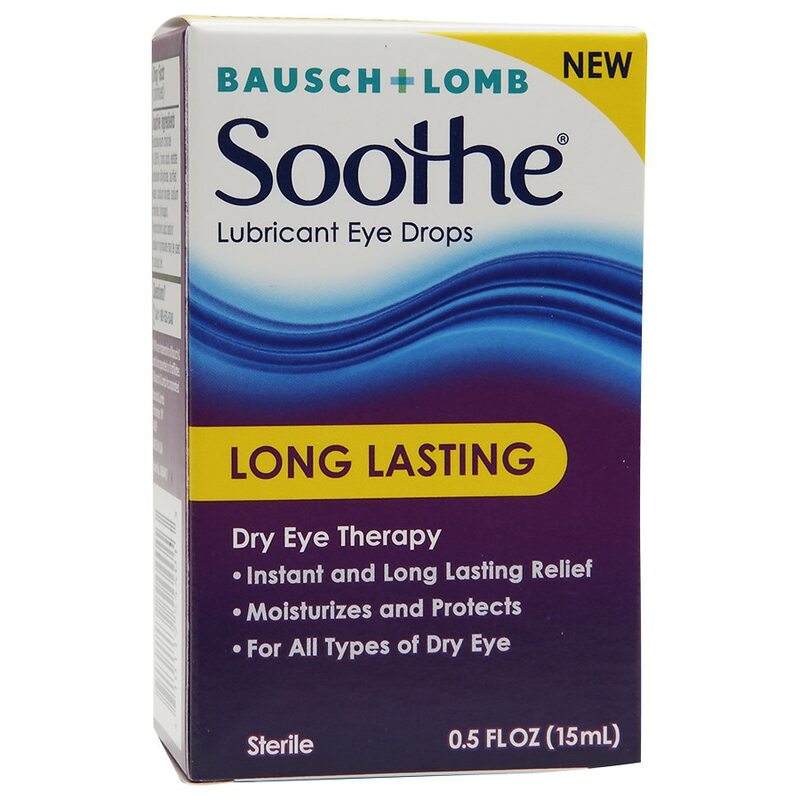 Soothe Long Lasting lubricant eye drops provide instant and long lasting dry eye relief. Formulated to moisturize and protect your eyes - for all types of dry eye. Experience a new level of dry eye relief with Soothe Long Lasting. Instill 1 or 2 drop(s) in the affected eye(s) as needed or as directed by your doctor. Other Information: Storage: 15°-25°C (59°-77°F). Use before expiration date marked on the carton or bottle. Do not use if imprinted neckband "Protective Seal" with yellow is not intact.